That's Fabric, Books, Patterns & Notions! 25% Off for Barefoot Club Members! We will not have our Second Saturday Sew this month. New classes added to our website! 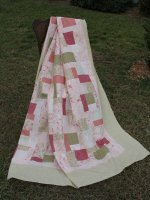 Thirteen fat quarters and simple strip piecing make this lovely throw. A great follow up to the Beginning Quilting A-Z class! 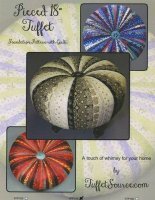 Make your very own decorator foot stool! Learn the basics of machine quilting using your own sewing machine. We'll cover straight line, stencils and free motion quilting. Pajama Party Quilt Retreat -- March 6-9, 2016 -- One Spot Left!